Roughly we know that for DAY 3 we will go for an island hopping and snorkeling activity while explore more on beauty of nature at Belitung. While enjoying my breakfast that morning, I saw the news on the television there was an earthquake and tsunami happening at Sulawesi Indonesia. I was shock by the news and pray everything will going smoothly for the trip that day. 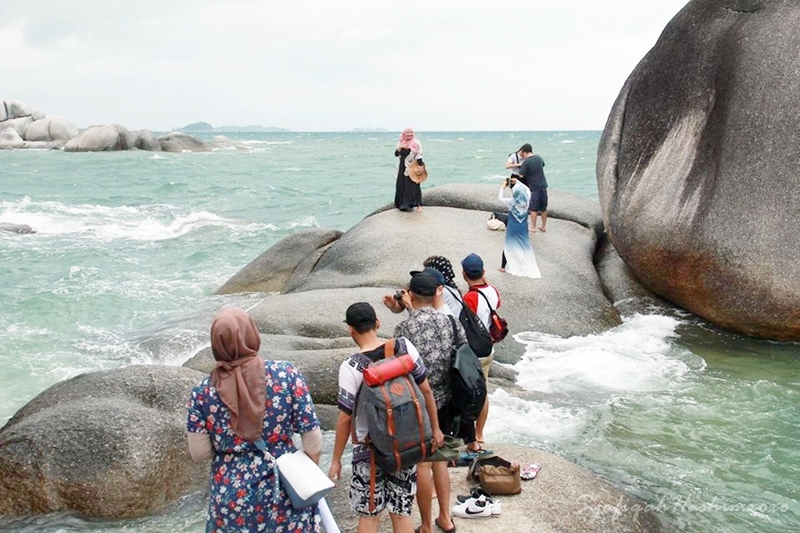 Since the situation has not been clear our tourist guide take a precaution step by check either Belitung area get the impacted by the disaster or not. Deep down I'm pretty scared but Syukur Alhamdulillah everything is safe. But we can see that the wave is pretty rough and heavy that day. 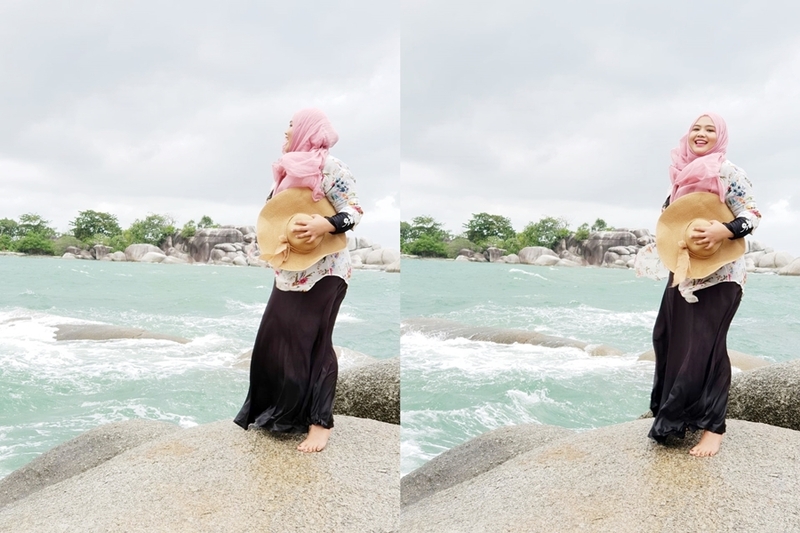 Tanjung Tinggi beach is one of beautiful places to visit at Belitung because of the beautiful beach view and white sandy beach. It also has huge rock and clear water. Of course this place is not suitable for swim as the heavy waves and windy. To be able to witness this beautiful view is amazing. Ignore my messy-looking-face please! Just focus on the view. Hahahaa..
Ohhh yeahh! The time we arrived this place a little bit crowded as you can see in the picture. Hahahaa.. Spot me if you can. 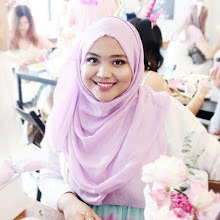 NGEE.. Overall, every angle is beautiful to take a photo here (unless your photo get photoboom by crowd. 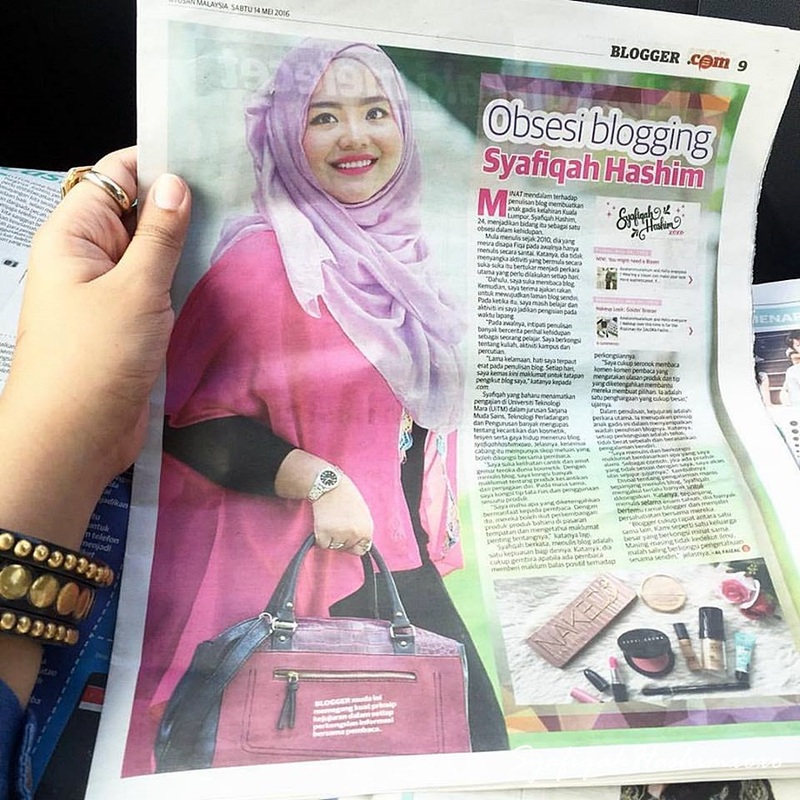 Ngee). Love that it has the big rock where you can climb and take a photo with a spectacular sea view. We spend around 30 minutes here so we're practically spend time to take a photo more than enjoying the moment. Hahahaa.. 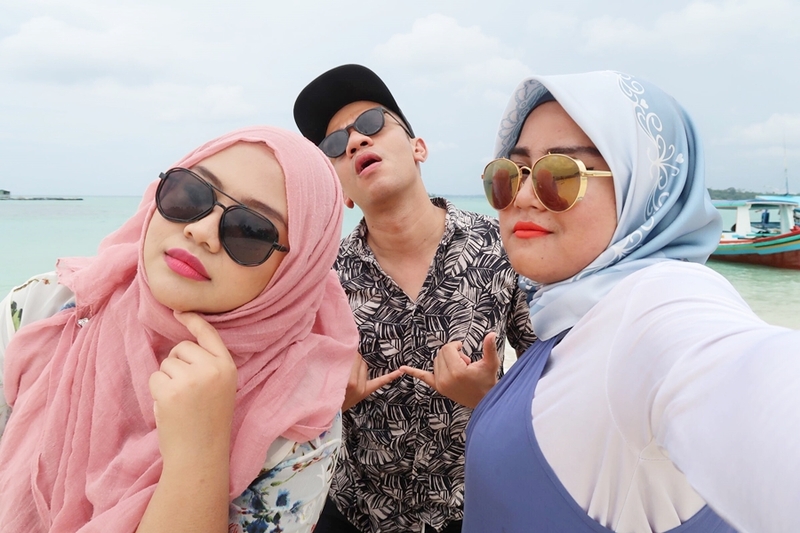 This is the first island that we visited that day that is Kepayang Island. 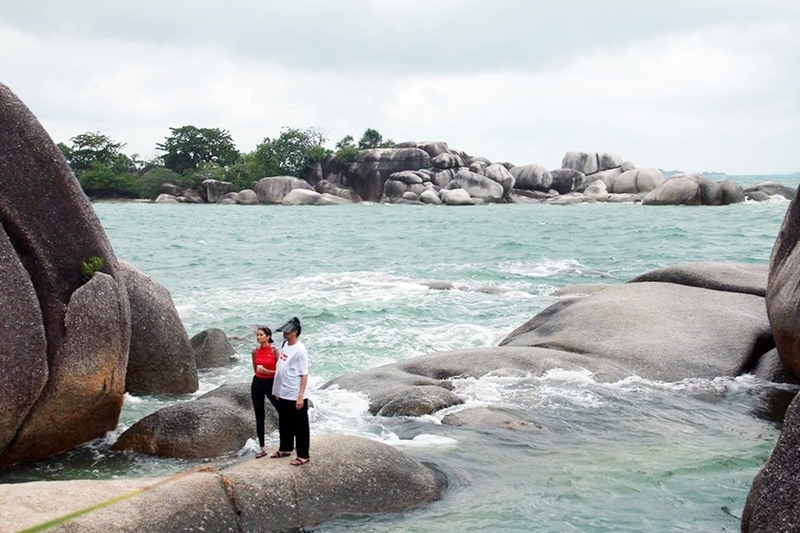 This island is labeled as one of the largest island at Belitung and this normally a pit stop for lunch during island hopping. Like I mention earlier since the weather is not in good condition, we're unable to explore more of the island that day. Since Kepayang Island is one of the not-affected Islands so it is safe for us to visit. Kepayang Island has wonderful view with white sand beaches that surrounded with crystal clear sea. Another activity you can do with your family. Hehheee.. So cute! We're having early lunch here at Kepayang Island. Due to the weather condition we're unable to cover all islands that supposed to be in the schedule so they only bring us to the island that seems in safe condition. That's probably the reason why we're having early lunch that day. I don't mind to eat early lunch when I have this crab in front of me. Hahhaaa.. I can taste the freshness of the seafood they served here. I really enjoy my ketam moment. Hahhaaa.. 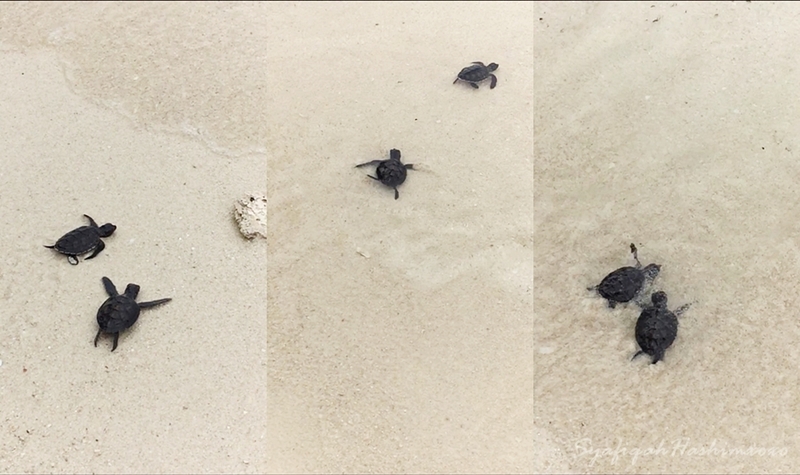 In here you also can visit Turtle Sanctuary as Kepayang Island is popular with a place for turtle breeding. This is the place where they preserved the turtle and make sure the species not extinct. The officer there will guide and share the story behind this place. Look how small they are. 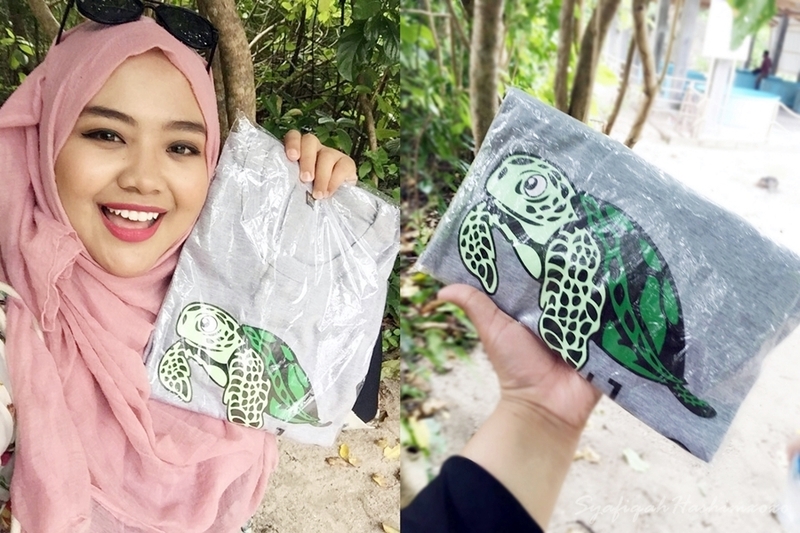 For a good cause, you can support this sanctuary where you can buy a t-shirt worth of RP 75,000 (RM22) and you can release the baby turtles. We hope this will preserved more of turtle so that our younger generation can see and know turtle in future. 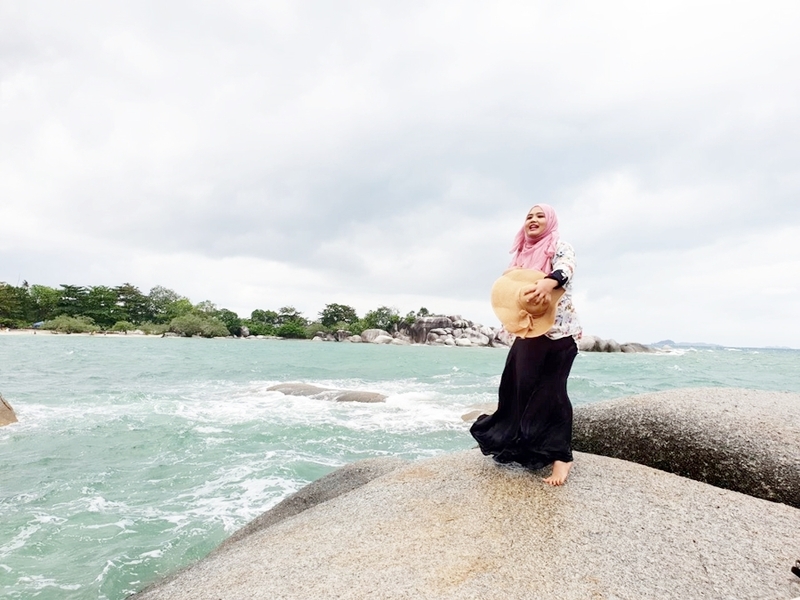 cantiknya tempat ni.. warna air laut tu mengundang sangat nak pi kuak kekupu..
tapi kalo big waves dan angin seram hehe..
memang cantik sangat.. get back to nature gituuu..